IN THIS COURSE WITH IMARKETER SCHOOL LONDON YOU WILL LEARN IN THE COMING YEARS, SOCIAL MEDIA MARKETING IS ONLY GOING TO GET BIGGER. LEARN TO INFLUENCE & ENGAGE WITH SOCIAL MEDIA. What Will You Learn In this Certificate in Social Media Marketing ? Learn how to effectively engage on Facebook. Learn how to tweet your brand with Twitter. 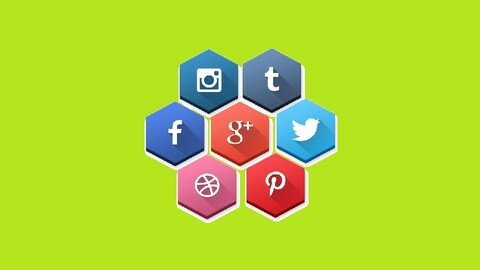 Create your social media plan SMP. Learn how to go viral with the secret sauce STEPPS. Learn how to use hashtags effectively. Find your audience and create caring community. Learn how to use Snapchat and Pinterest. Learn Tools for Monitoring, Listening & Broadcasting on Social. Grow Your Mailing list with Linkedin. Participants are expected to have working knowledge of common social media platforms such as Facebook, Twitter, LinkedIn, Google, YouTube, Instagram, and Pinterest. Prior to enrolling, students should have active accounts on these platforms, be able to use basic features and perform common tasks. According to the Bureau of Labor Statistics Occupational Outlook , demand for social marketing, advertising, and promotions managers is expected to grow 12% through 2022. Demand for social media skills in particular continues to grow according to job search site IndeedCom. Do you have goals of becoming a social media manager? Not sure where to start? Social media managers create and maintain brand promotions, company information and marketing campaigns for their company across several different social media networks. Everyone from bloggers to large brands is looking for social media managers. Luckily, a formal degree is rarely required for this position, however having credential will only help you to get your feet on the ground. This certificate is an open enrollment course. No application is required and registration is available by clicking the ‘Join The Course’ button. With this course you will learn the right set of knowledge, experience, and skills to become a real social media expert.Quality sub courses in this Certificate Package can help you get ahead by improving your social media skills and making sure your resume can compete with the rest of the job market. Who is the Target Audience For This Certificate in Social Media Marketing ? Anyone who is responsible for running and maintaining social media accounts.